Ready for a beach vacation and a seaside buffet meal? 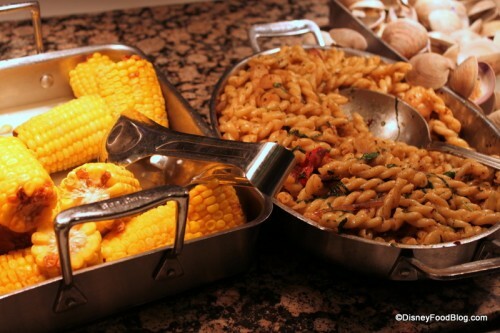 We’re headed to Cape May Cafe in Disney World’s Beach Club Resort to enjoy a guest favorite dinner buffet — The Cape May Cafe Clambake! 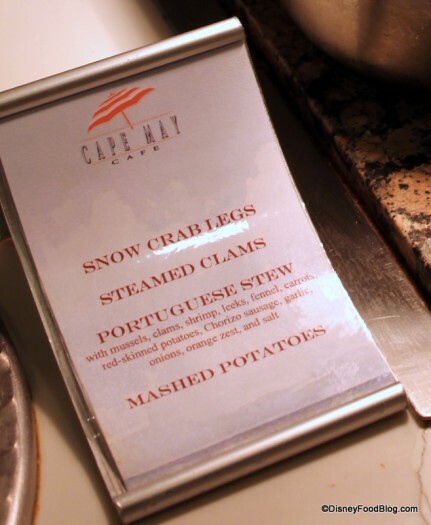 The Cape May Cafe Clambake was a dinner I’d never been to, and one my mom had been dying to try. 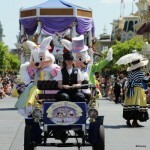 So when my parents were in Disney World at the same time we were recently, we gave it a go! 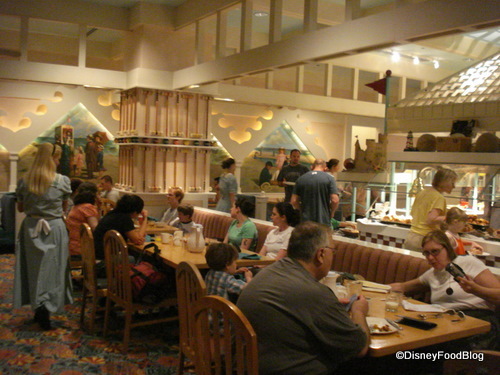 Cape May Cafe is an open and airy buffet restaurant adorned with pastel impressionist paintings depicting beach scenes, colorful beach umbrellas and folding chairs, carpet that brings beach balls to mind, and the stick style architecture seen throughout Disney’s Beach Club Resort. Tables are set up as booths, banquettes, and full tables, and there are two dining rooms — the main dining room seen here, and a secondary, smaller dining room off to the side of the entrance. The Cape May Cafe Clambake is one of my preferred buffet restaurants. Though the meal is very popular, it doesn’t feel overly crowded. And the food available is some of the best when it comes to buffets in Disney World. If you’re a seafood lover, you’ll be in heaven; but even if you’d rather stay on land when it comes to your food, there’s plenty for you here. The soups offer a strong New England flair with Cape May Cafe Clam Chowder and Ham and Bean soup! 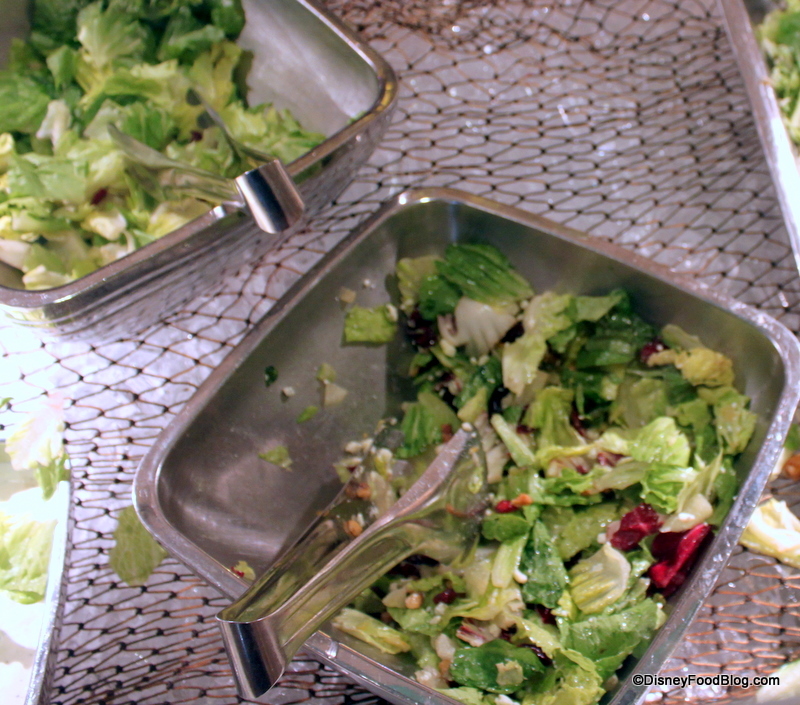 There are ample salad and fruit appetizer offerings, complete with several dressings. I’m always a fan of a restaurant that offers me all-you-can-eat cornbread, and this was quite good. 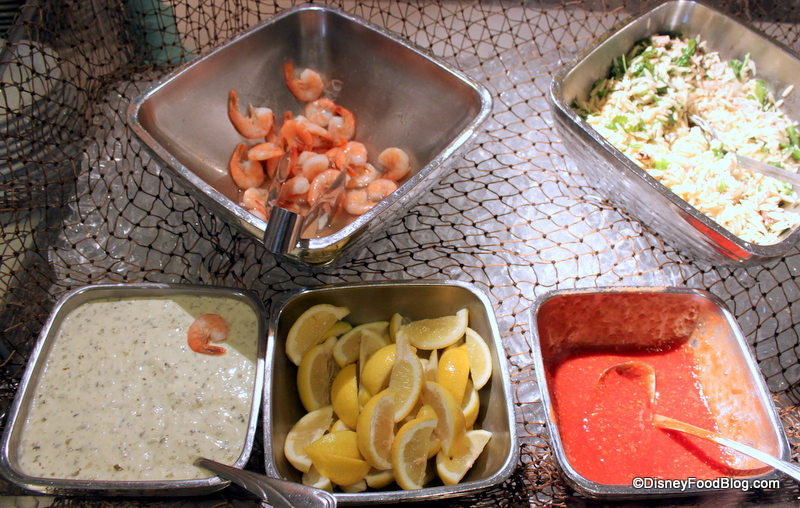 Shrimp and sauces were also available as an appetizer (make-your-own shrimp cocktail!). Now if you love seafood like my mom does, here’s where you can really dive in! 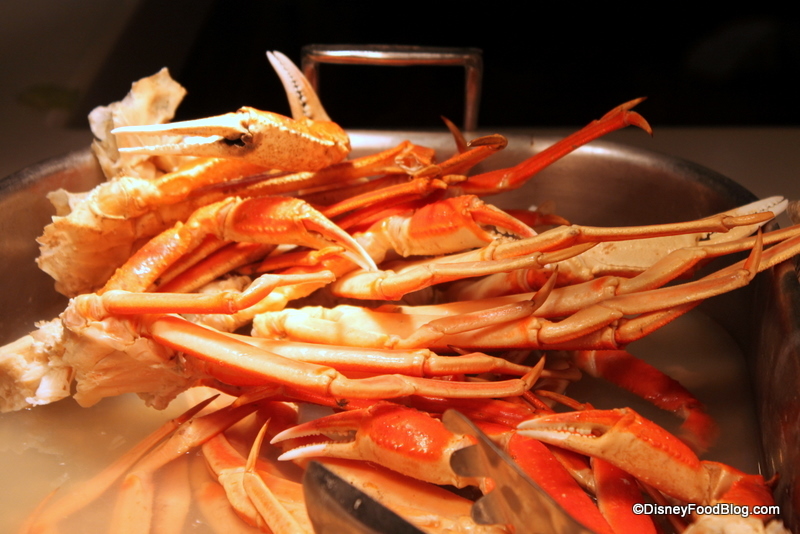 The snow crab legs were BEAUTIFUL! And these are regularly refilled; so if you don’t like the leftovers, just wait for another batch! Steamed clams received rave reviews at my table. And this Portuguese Stew with mussels, clams, shrimp, leeks, fennel, carrots, red-skinned potatoes, chorizo, garlic, onions, orange zest, and salt was truly amazing. 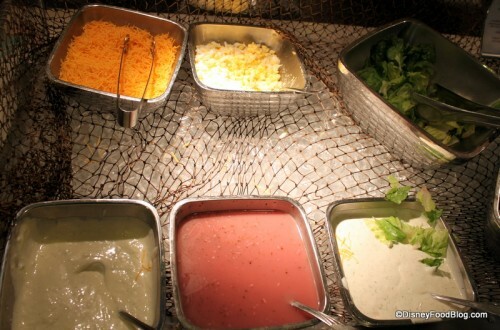 You really don’t find intriguing dishes like this on many buffets at theme parks, so I couldn’t wait to dig in! If you’d rather stick to fewer fish options, there was an entire buffet side just for you. The vegetarian penne with tomatoes, spinach, and parmesan was light and delicious. 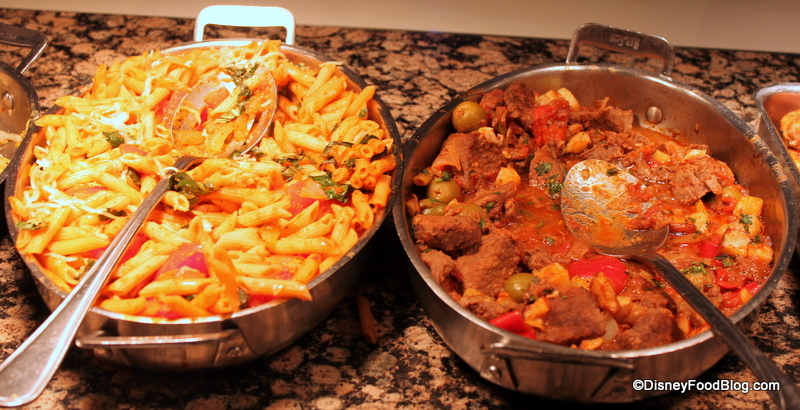 I loved the fun spicy tomato sauce for the beef tips. Ribs got high marks from my table-mates! For the kiddos, there’s a special section at a lower height from the others! 🙂 It features pizza, mac and cheese, chicken nuggets, and yummy green beans! 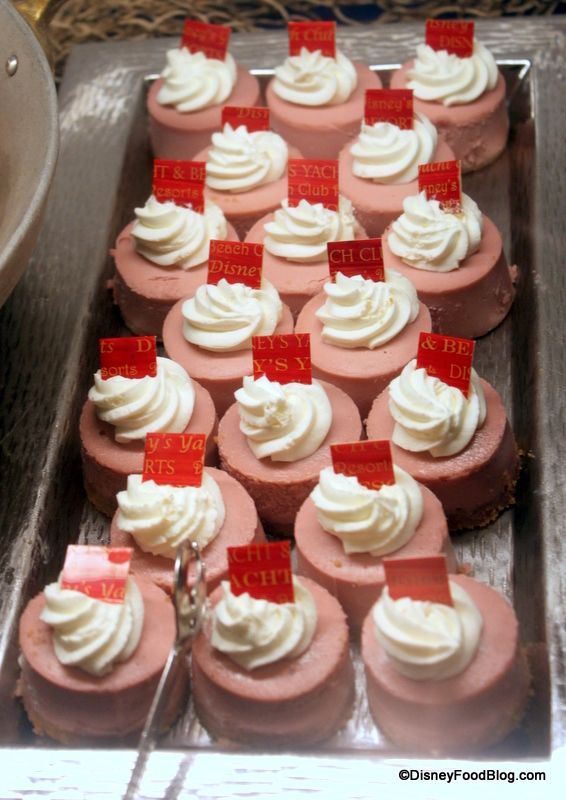 The desserts at Cape May Cafe are very well-done…and they make sure you see these first! They’re set out right at the entry to the restaurant! The true cult favorite at Cape May Cafe — people have been in love with these for years — are the Oreo Bon Bons! 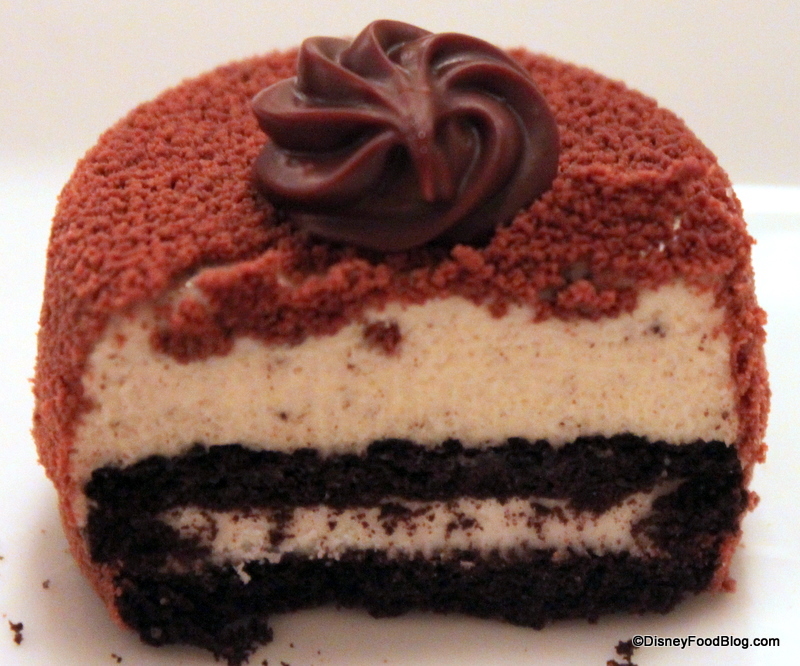 These oreo cookies topped with cookies and cream mousse and dusted in chocolate are decadent and delicious! 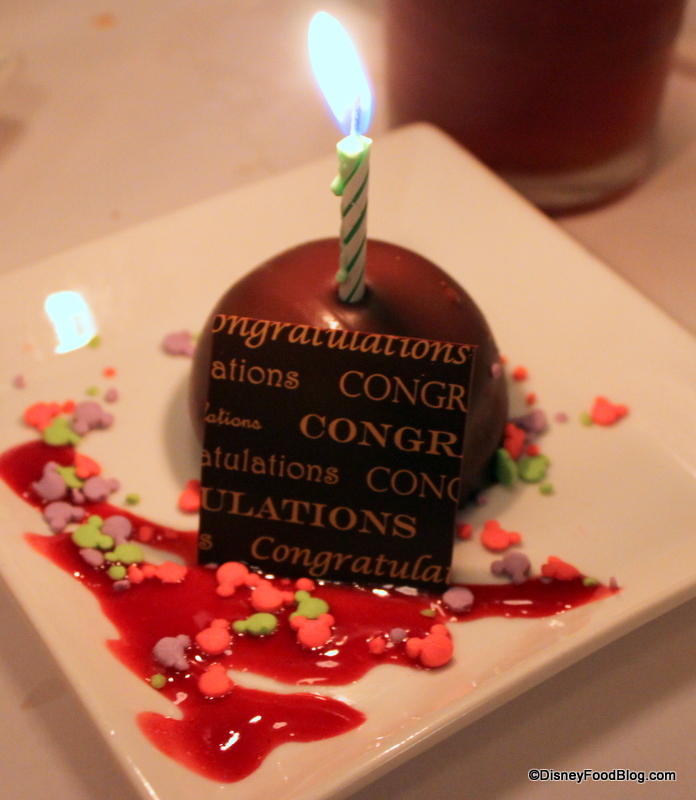 And my mom was celebrating her birthday here, so the restaurant was kind enough to bring over a Happy Birthday treat! 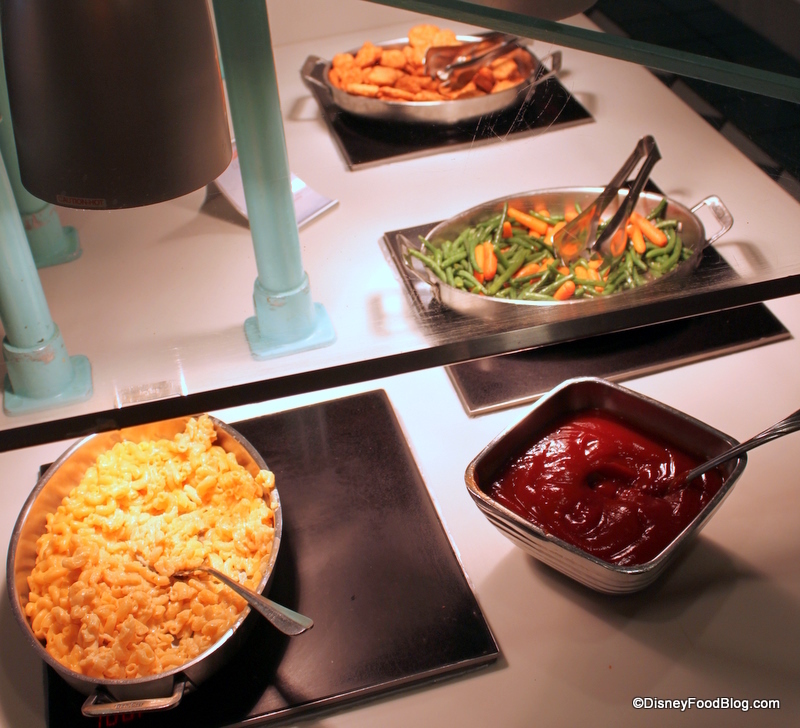 Like I said, Cape May Cafe is one of my favorite buffets on property — both for breakfast and for dinner — and I can highly recommend it if you’re headed to Disney World with your family. It’s a great spot if you’re staying in the Epcot Resort area, or even if you’re visiting Epcot. 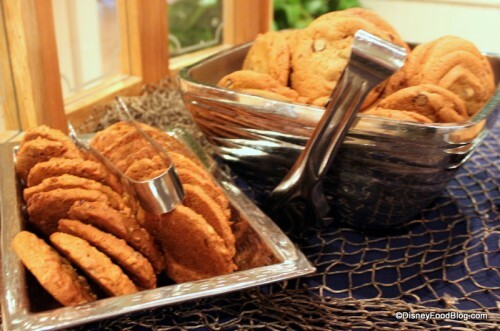 You can start out your day at the character buffet breakfast, or pop over to the clambake after a long day in Epcot for a little relaxation! 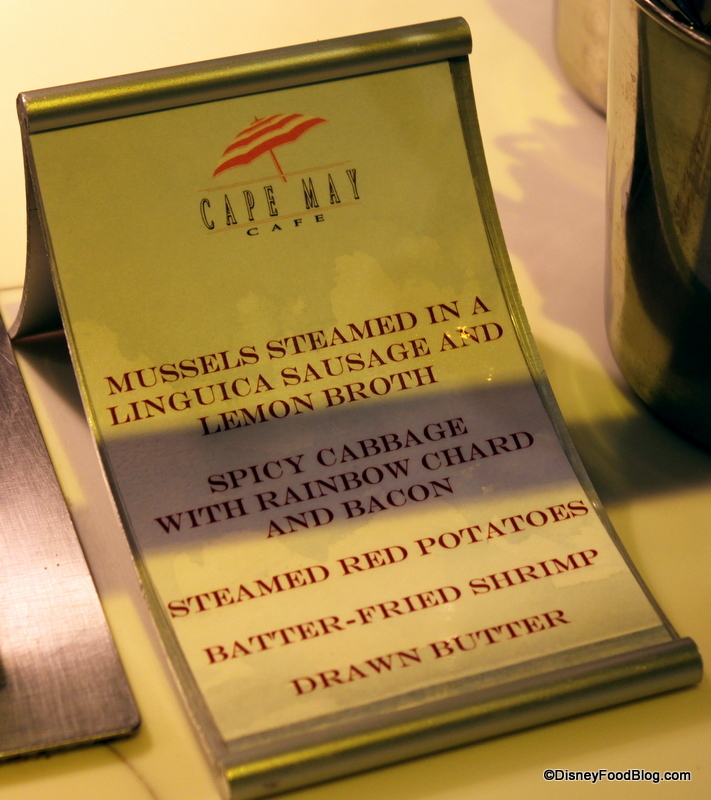 Have you visited the Cape May Cafe Clambake? Let us know what you thought in our comments section below! I think I’ve been to this place more than any other on property. This is my Dad’s favorite place to eat, and I greatly enjoy it too! I totally agree with you on the cornbread and the Oreo Bon Bons. My goodness. I have not been there for dinner since I’ve gone on my two year journey to try all places I have not been to before (Inspired by my first Monte Cristo). I really need to return! Those Oreo Bon Bons look delicious. 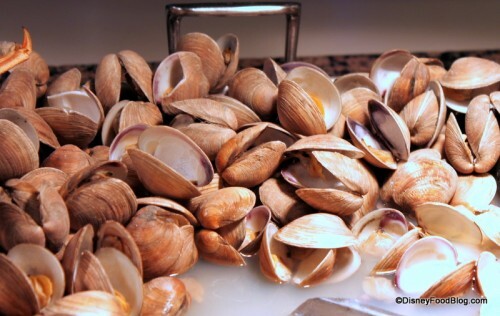 Is the Cape May Clambake the only place you can get them ? 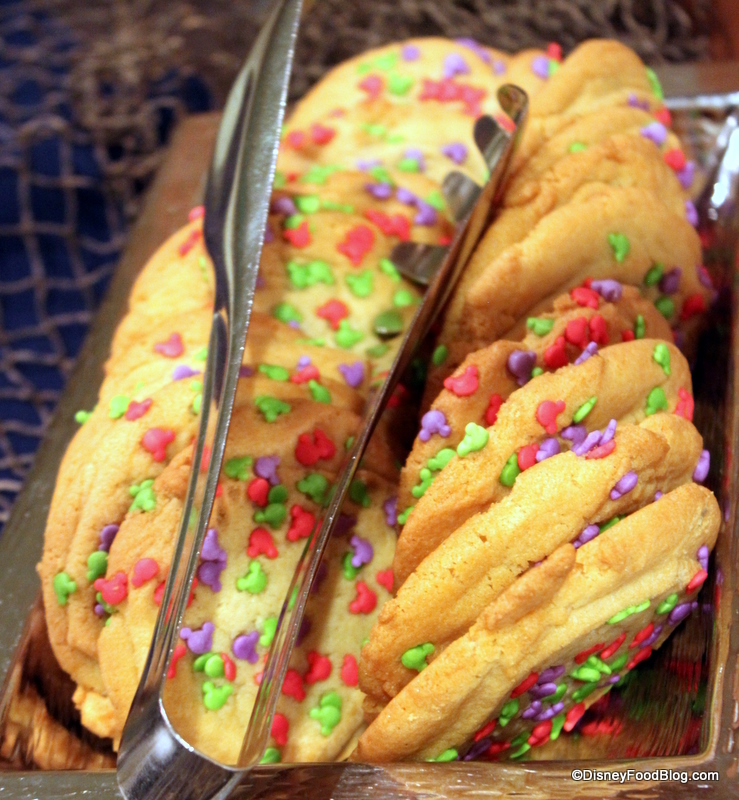 I know the Boardwalk Bakery does them too but they don’t look the same as the ones above. 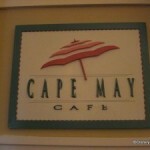 Cape May Cafe has been one of my favorite WDW restaurants for almost 20 years now (along with Prime Time Cafe.) I love seafood, especially clams, and this place never disappointments. I have celebrated several birthdays there and it has been my go-to restaurant when entertaining first time Disney visitors, my parents still rave about it 15+ years later. I love the little galvanized steel buckets that you can heap full of succulent little clams, as well as the butcher paper “tablecloths.” My wife and son draw endless pictures with the provided bucket-o-crayons and there are usually a few games of tic-tac-toe too. Hi.. Loved it in the past. Haven’t been in many years. 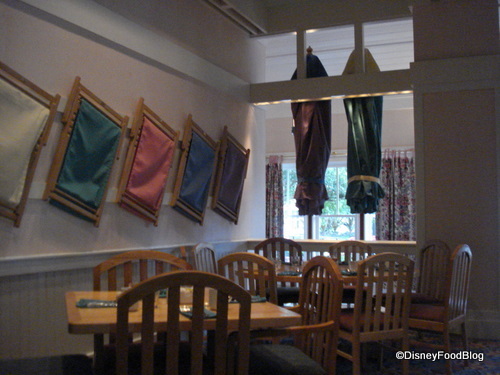 1) is this one of the Disney restaurants where you have to place a credit card deposit for a reservation.. This drives me a bit crazy. 2) Do they accept walk ins or is it pretty much SRO each nite? 3) Do they have scallops on the menu. I didn’t see them. My wife is horribly allergic.. to the point of getting sick from cross contamination with pots, pans, etc, etc. My husband and I did the clam bake several years ago as well. I’m a vegetarian and he loves seafood. I was satisfied and he ate enough crab legs to make it worth any cost for both of us. I agree – it did not have that rushed or pressured vibe that most buffets do.. it’s very relaxing and I remember passing their nearby pool area which was beautiful! AJ, I can’t believe you had never been to Cape May for dinner! 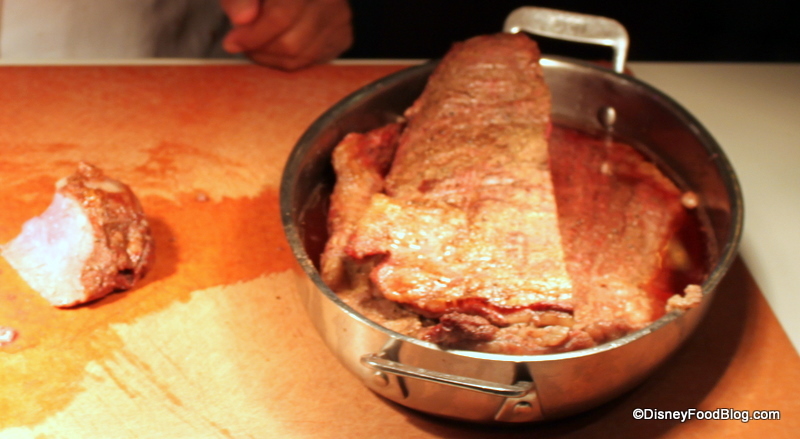 It’s wonderful–always one of our favorite places for a big family meal. 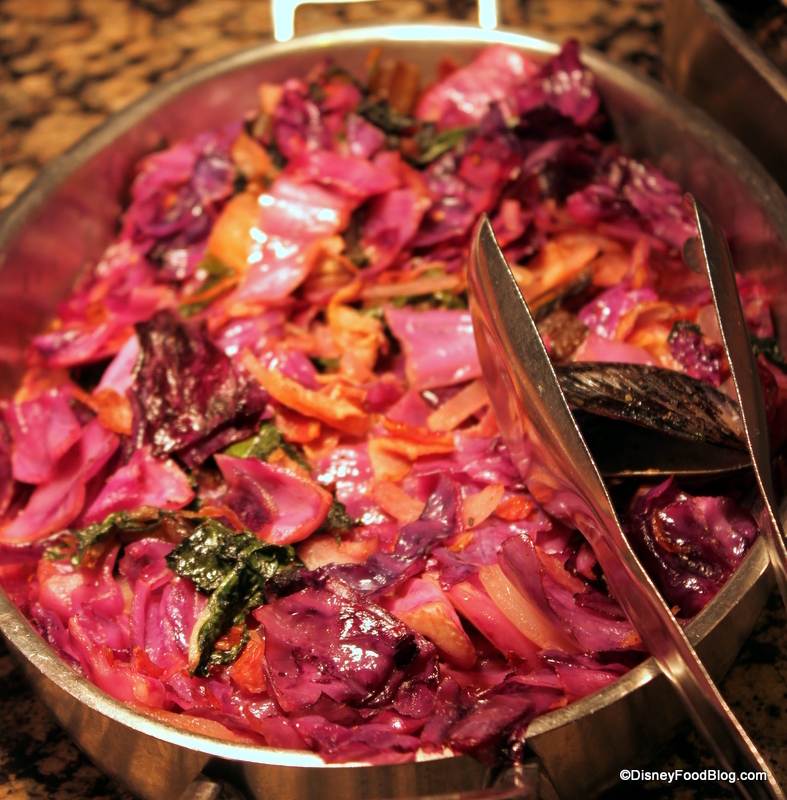 It’s also only one credit on the dining plan which makes it and EXCELLENT deal. We’re from a seafood state (Maryland) and we love Cape May! I love the clambake and their character breakfast is one of the better priced ones where you still get old school characters (Pluto, Goofy, Minnie, Donald, Chip & Dale). 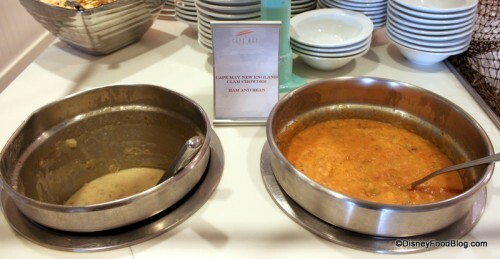 Somehow I always manage to fill up on soup, salad, and fruit before I remember about the rest of the food… getting the clam chowder and putting a couple of scoops of the steamed clams in it is pretty hard to beat. This might have to be on the plan for October! At WDW, I probably eat seafood more than any other food. This makes Cape May one of my favs. Now my wife doesn’t eat seafood at all and the land lovers choices here are just okay for her. But, what saves the day for me is that she loves all the desserts. Absolutely LOVE the Clambake (and the breakfast is great too!). Although I am not a big seafood eater, my husband, sons and mom really enjoy it. It’s a must do for us, especially when we are staying at BWV. Nicholas — How is the “trying new things” journey going?? Pudge — Thanks for the reminder about the little steel buckets! Makes it a real clambake! And I love the idea of celebrating a birthday here; we had a lot of fun when we did it. Frank — Lemme try to answer the questions: 1.) 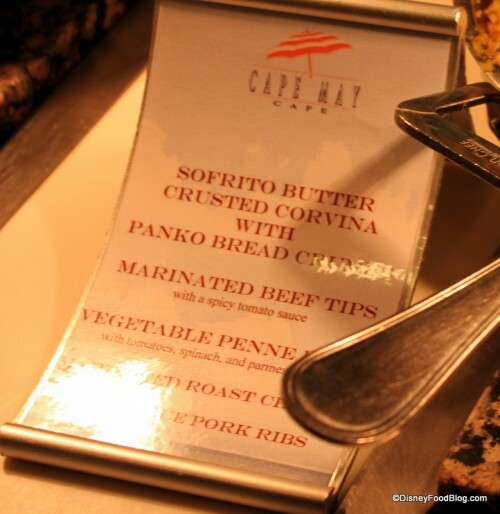 Because Cape May does have a character meal (breakfast), you do have to put down a credit card deposit with your reservation. 2.) This can be hit or miss when it comes to walk-up. I’ve just done a mini-test to see if there’s availability for tonight’s dinner (it’s Spring Break, so it’s crowded), and there were still several times available tonight. 3.) I didn’t see any scallops on the menu when I was there, but, again, this is one to call Disney Dining and double check about before you go. Beth — Great to hear approval from a Marylander! Alan — No kidding!! 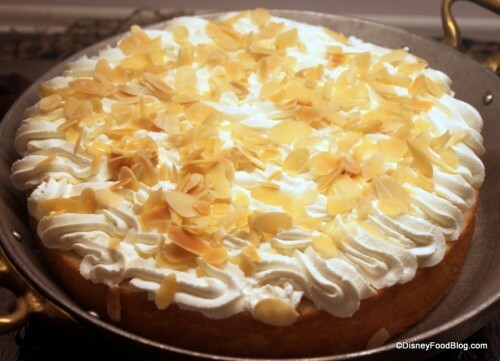 There are SO many dessert here, and they’re so high-quality. Very good point that this is a great spot for those families who have seafood lovers AND haters. 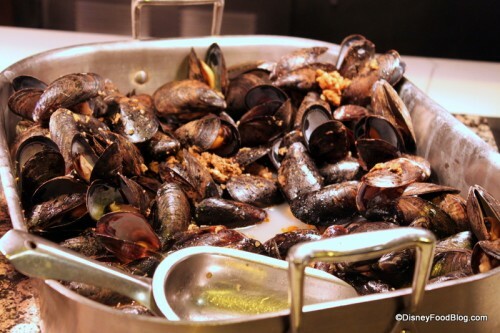 😉 Would love to hear some of your other seafood favorites in Disney World. Tracy — Isn’t it nice to head to a restaurant so close to your hotel? We love that! 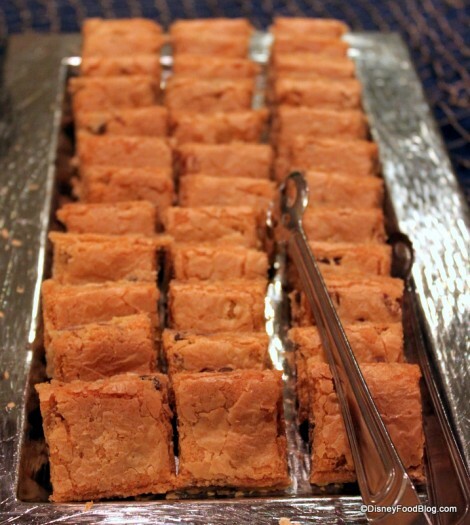 Checked this out at Reunion last year…already making plans to go again THIS year! My mother and I tried the breakfast at Cape May for the first time our last trip. We went on our departure morning. We loved one last hurrah with the characters before leaving. I don’t remember the food being parcticularly great or horrible. Pretty standard, but good! We’re going back for our first dinner here on our next trip. Mom’s the seafood lover. I do love shrimp, though. That’s the main reason I agreed to it – all you can eat shrimp cocktail! And I suppose I can make-do with those desserts 😉 HA! LOVE LOVE LOVE Cape May Cafe Clambake!! Went first time Dec 2010 and will be the first ADR I make for my trip in Oct. It was very busy when we went before, long queue for seating and yet we turned up early for our ADR and got seated almost immediately 🙂 You had to queue a bit for the buffet, but that just gave me a chance for my food to settle!! Word of warning…my partner ate so much here that he was unable to stand and watch Illuminations later that night, all he wanted to do was get back to the resort and lie down because he had enjoyed his meal TOO much!!!! I’m down to this and Boma for our next trip. Any thoughts? kids 7&11 and hubby is big seafood lover. This is a very positive review. Also, we are staying at Contemporary, so a plus for this as far as convenience. Thanks!! p.s. we loved breakfast here! I ate here three years ago and loved it. For the most part it’s simple food simply done. The steamed clams were near perfect due to the fact that they were so plainly presented. I’m a huge fan of mussels. It’s easy to overseason them because of their delicate flavor but they resist the temptation to add too much to the dish. 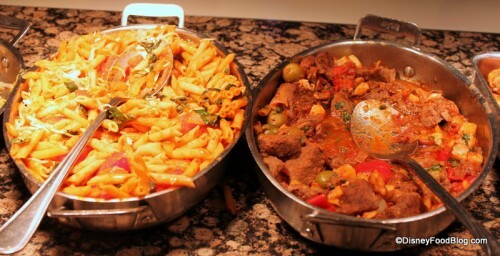 The Portuguese stew was also excellent. Adding this to my list for our August trip. We have enjoyed breakfast here several times but somehow have missed the dinner! Great review AJ! One of my favorite traditions is writing the date we ate there and a short little note in crayon on the paper table cloth, tearing it off when we left, and adding it to my scrapbook! Always makes me smile to go back through and see that! I have been here twice and loved it both times. I am a macaroni and cheese fan and I also have to say that this is some of the best that I have found on property. I also love love love crab legs. Its a perfect place for our family. Regarding the Oreo bon-bons, I know you can get them through private dining – at least when staying at the Beach Club. My wife ordered me a plate of them when we stayed at BCV a couple years ago. I don’t remember if she said they could be ordered for other resorts though. Second on that Milky Way cake – I’ve never seen that before (we go every trip – most recently in Dec11). We had breakfast here in November, it was really good! 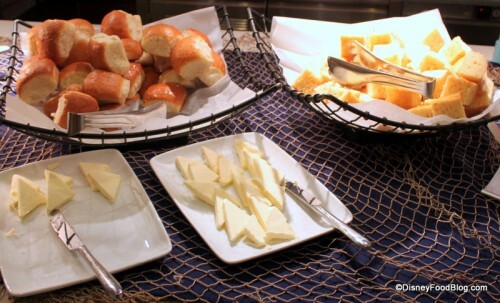 I’m not a big seafood person, but I had no idea they had non seafood on the buffet, too! 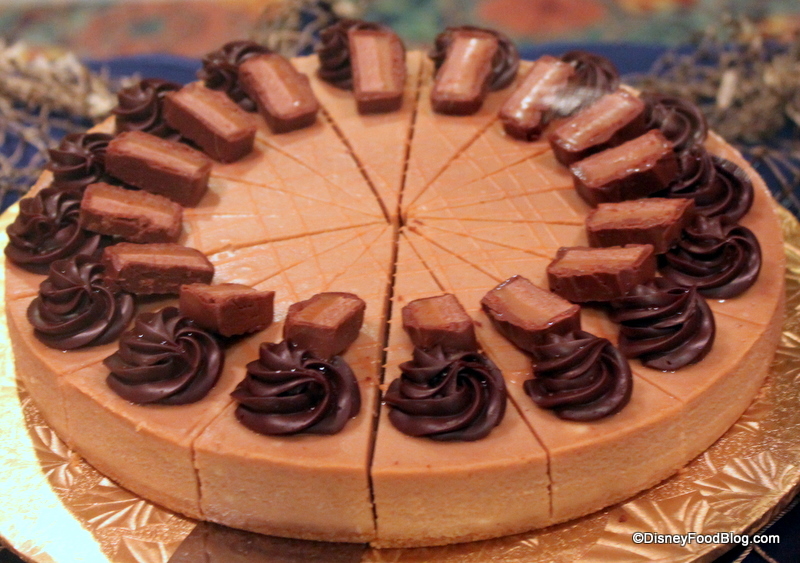 I might have to try it now, especially after seeing the Oreo bonbons & milky way pie! My family and I go on vacation to W.D.W every year and we always come here, this place is amazing !!! 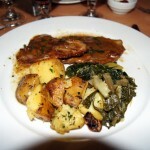 Just had dinner again at Cape May last week – great as always. FYI – no Milky Way pie. And I didn’t see that whole cake either. Oh, they’re not in the review above. But they’ve added Parker House dinner rolls. I know many probably aren’t impressed or interested in dinner rolls. But they are delicious. Thanks Corey! 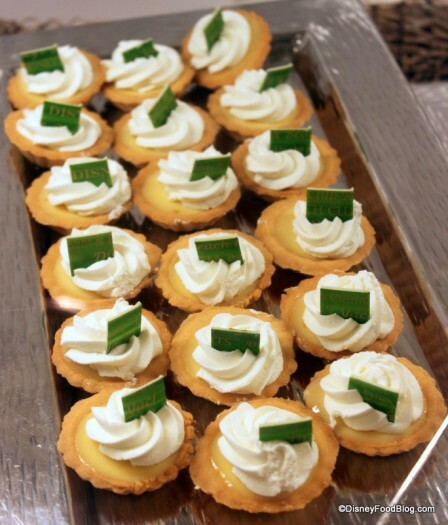 I’m sure they change out the desserts nightly. 🙂 Great info on the dinner rolls! AJ, if they change the desserts nightly then we always seem to be going on the same night. 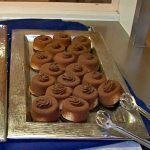 We’ve probably been 5 times in the past 3 years and 10 in the last 6-7 years and the desserts have always been the same each time – outside of when they were trying the lava cakes (that were killed because they were too laborious to prepare). I think I recall when they used to have whole cakes pre-sliced. But I haven’t seen one in many years now (they’re too messy). Cape mays has long been our familys favorite restaurant. 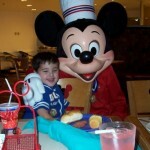 It is great for the Disney dining plan if you want to get the most bang for your buck. 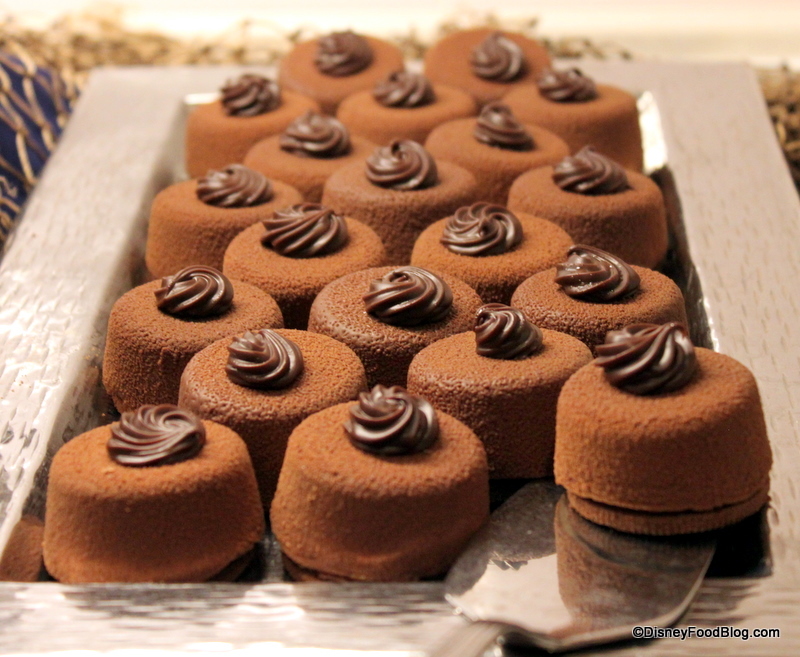 Of course the Oreo Bon bons are to die for! Just went to Cape May this weekend and -the horror!- got RID of the Oreo Bon Bons!!!!!!!!!!!! the menu is different too, some changes good and some bad (hello!, how can you get rid of the oreo bonbon?!?!?!) 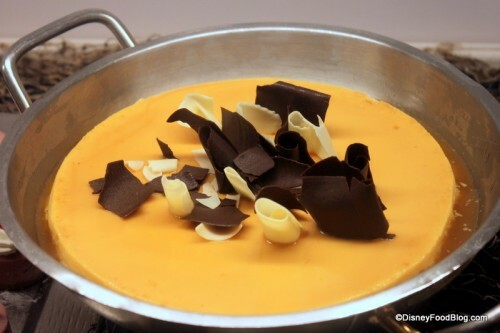 The new desserts are not as good as the old, for sure. Cant wait to hear what the food bloggers think when they review it again. Katie, the bon-bons didn’t return after the renovation. 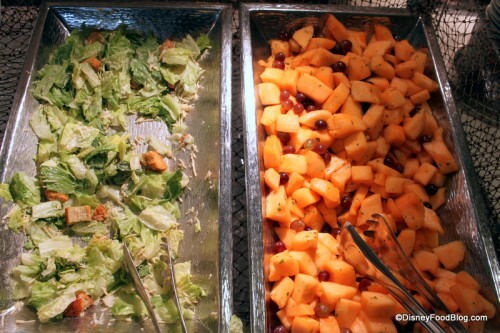 Word is someone determined they are too labor I tensive for the buffet. A couple of servers have told people that they’re going to be for sale at the marketplace, but no one has reported seeing them yet. We’re going at the end of Oct – my wife says she’ll order them from in room dining for me again (we’re staying at BCV – she ordered me a batch for my bday a couple years ago). I spotted them in their quick service cafe past the gift shop and I believe they were about 6 dollars for a box of 6. They were in a little fridge right by the order counter kind of down low and if you hadn’t looked hard you might not have found them. I regret not getting some while I was there but I will definitely get some next time. It seems like many people are not happy about the loss even the servers had something to say about it. 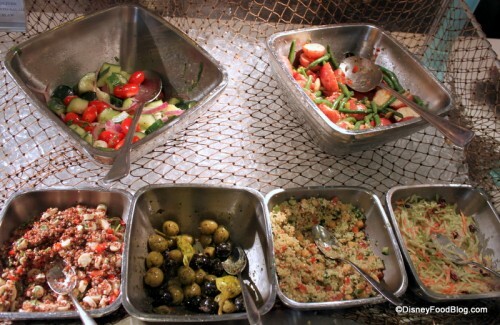 Can kids eat off of the seafood buffet as well or are they limited to only the kid’s buffet and vice versa?